When properly formulated and implemented, a national alcohol policy can have a significant impact on the health and welfare of the population. Since 2008 government institutions and civil society in Malawi have collaborated on a broad and inclusive consultation process to develop a new alcohol policy. Methods used could be replicated by other countries. The example from Malawi has now been documented in a joint WHO/FORUT report. When properly formulated and implemented, a national alcohol policy can have a significant impact on the health and welfare of the population. 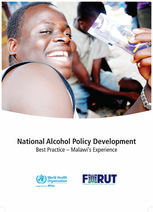 This is the starting point of the new WHO/FORUT publication “National Alcohol Policy Development; Best Practice - Malawi’s Experience”. 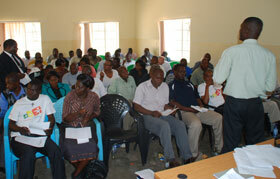 The purpose of the publication is to describe how the Malawians have organized their policy process. The pictures in this article have been taken at different stages of the process. 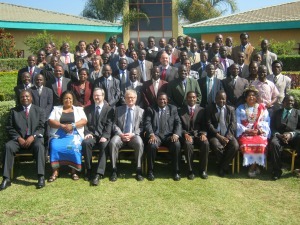 The Best Practices report from Malawi (a low resolution printer version) can be downloaded here. Malawi is only one among many countries that not only lack a national alcohol policy, but also lack proper enforcement of existing laws and regulations in the alcohol field. Quite a number of developing countries even have alcohol legislation dating back to colonial days. The WHO Global Strategy to Reduce the Harmful Use of Alcohol aims at changing this situation. All WHO Member States are invited to follow up the global strategy by developing new and updated national pol icies and legislation. Malawi started their alcohol policy process well before the adoption of the WHO strategy in 2010, but the Malawian efforts fall well in line with the recommendations from the WHO document. The results are likely to be visible very soon. In the end of September a new policy document was approved by the management of the Ministry of Health, and this document will now be presented to the Health Committee of the Parliament before it is submitted to the Office of the President and Cabinet for final approval. Malawi was one of the countries where SABMiller and Carlsberg, supported by an ICAP consultant, invited government agencies and some civil society organisations to take part in a consultation process to develop an alcohol policy. 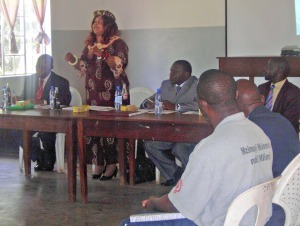 As Malawi at that time had few NGOs involved in alcohol policy, the small organisation Drug Fight Malawi (DFM) was one group invited to be part of the consultation process. However, toward the end of 2007, as that DFM’s leadership became more aware about the direction the drafting process would take, they withdrew. The organization subsequently initiated a new process based on a different policy approach, together with another and broader selection of participating stakeholders. This new initiative effectively put an end to the process organized by Carlsberg and SABMiller. 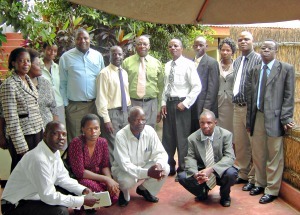 The Malawi process represents a best practice in its field because it included many elements that are rarely found in such processes, but can be recommended for – and replicated in – other countries: a confident working relationship between government and NGOs; a pragmatic division of labour between the two; participation in the process far beyond alcohol-specific agencies; the exclusion of vested interests from policy formulation; a combination of local expertise and the international evidence-base; the connection of the alcohol issue to key national development issues in Malawi; community inputs through regional consultation meetings; a national validation conference, and finally a joint revision by government and non-governmental stakeholders of a draft policy initially compiled by a consultant following the validation workshop.